What are the pros and cons of probate? There are many misconceptions about the probate process when someone dies, either with a will or without one (known as intestate.) However, Washington arguably has some of the most streamlined laws in the nation for probate, making it an easier process to manage—when it’s even necessary at all. It’s important to understand some key points about probate, why you may want to avoid it, and why in certain cases, you may not want to avoid it. To understand why you might choose to go through the probate process, you should understand what probate means. Be aware that probate is not always required by Washington law. However, it is required that you file a will, if one exists, with the probate court. You will also be required to file probate if there is over $100,000 in personal property, or if there is real property (real estate) involved. Otherwise, there are situations in which probate may not be required at all. One of the biggest advantages to probate can also be a disadvantage, in some cases. Probate is a matter of public record, and some may not want their personal information made public. However, when the estate left behind is complex and leaves a number of potential heirs, beneficiaries, and creditors with potential claims, going through the “public option” can be a safer choice. 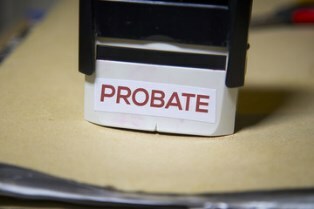 Probate ensures that the process is supervised by the court, and public disclosures are issued. This lets any party with a potential interest make a claim against the estate, but it limits the timeframe in which they have to do it. The downside is that the affairs of the estate are public record, including the contents of the will, which may not be desirable in every situation. One of the biggest disadvantages of probate is the amount of time that it takes for the legal process to complete. It’s a formal procedure that needs the help of a personal representative to shepherd the estate through the steps that are legally required, and there are specific timelines for each step. For instance, the amount of time that creditors have to file a claim is four months, during which time the assets of the estate are unavailable to beneficiaries. That can put heirs at a real disadvantage if they’re in desperate need of their inheritance. Another disadvantage of probate is that it costs money. There are court and filing fees, the costs of publishing notices to creditors, and other expenses that can eat into the estate’s value, leaving less for beneficiaries. On top of the filing costs and other expenses, there may be payment to the personal representative of the estate, attorney fees, accounting services, and professional appraisers, too. When these services are necessary, it can be money well-spent, but all of it together can all chip away at the estate’s value, leaving less for the heirs and beneficiaries. With good estate planning, many of the pitfalls of probate can be sidestepped. A living trust is an excellent tool for real property, cash or bank accounts, vehicles, and personal property to be transferred to beneficiaries neatly, quickly, and out of the public eye. Unlike a last will and testament, the contents of a living trust do not become public record, allowing heirs and beneficiaries to maintain their privacy. A community property agreement is another method that can be used to transfer real property directly to a surviving spouse without probate. When in doubt, the best move may be to contact a family law attorney with experience handling estate planning and probate. If you’re making your estate plan or have questions about your existing plan, your attorney can advise you about probate and how to take the correct measures, so your heirs will have an easier time receiving your assets when you’re gone. An attorney familiar with the probate process can also help you if you’re having trouble in the middle of the probate process and aren’t sure what to do next. The Law Offices of Molly B. Kenny has been helping families across Washington secure their futures for over two decades, and we’re here to help if you have questions about your estate plan or the probate process. To arrange a private consultation in our Bellevue office, we can be reached by phone, or email us via the contact link on this page.